Home > Where Have All the Flowers Gone? Winter 2017-18 was pretty harsh compared to most years. Much of central and northern Indiana experienced 13 or more days well below zero, while southern Indiana had four to five days just a few degrees below zero. In addition, gusty winds further injured plants by desiccating buds and twigs. Photo provided by Rosie Lerner, Purdue Extension. The consequences remain to be seen. While some spring flowering trees and shrubs may perform admirably this season, some species will have few or no blooms at all, particularly in the northern half of the state. 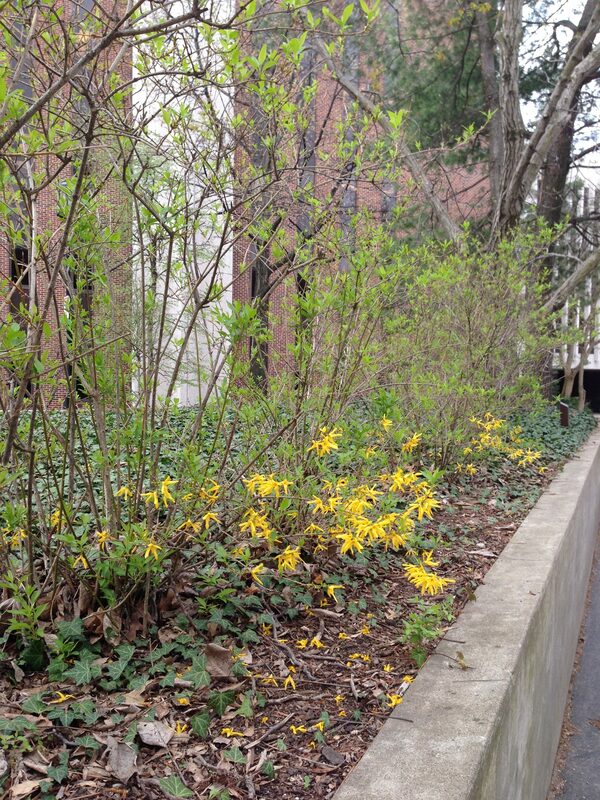 In addition, some plants may be late to leaf out, leaving us concerned that they died overwinter. Photo provided by Bruce Bordelon, Purdue Extension. 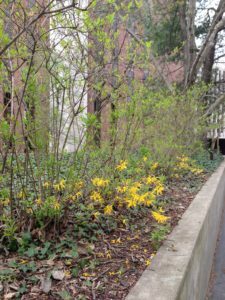 Some shrubs (such as forsythia) may flower only on the lower branches, where snow cover and leaf litter insulated them well. But for many specimens, there may be no flowers at all. 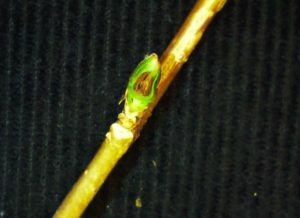 A recent check of buds on forsythia plants on the Purdue West Lafayette campus revealed significant flower bud damage, evidenced by a brown center in the bud. 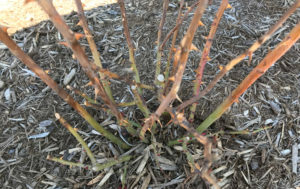 Many roses have experienced considerable dieback – some nearly to the ground. Some of these roses will still be able to bloom on new twigs that develop later this spring. For plants such as magnolia and lilac, our bud checks look pretty good, but there’s still more weather to get through before we know for sure. 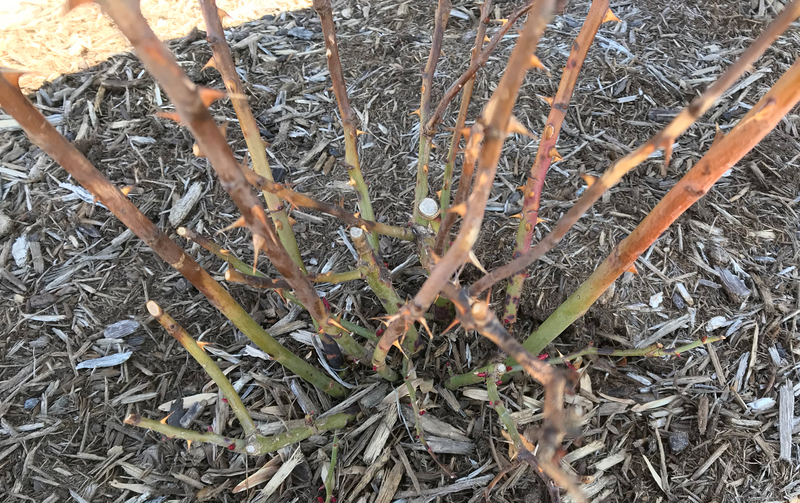 While it is still possible that these plants may continue to show effects from the harsh winter, most should recover and return to normal blooming next year – assuming reasonable weather. 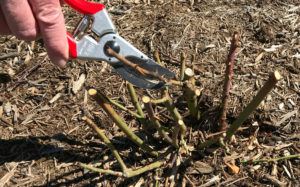 Prune to remove winter dieback on rose twigs. We recommend conservative pruning to remove only dead branches and to conserve as much foliage as possible, so that plants can maximize leaf area for photosynthesis to aid recovery.